Nothing can ruin a backyard get-together faster than a swarm of mosquitoes. So, each summer, we prepare to do battle: body sprays, yard sprays, citronella candles...yet even with all these expensive weapons we still end up covered in bug bites! co-author of the Who Knew? book series and the website WhoKnewTips.com. That's why we love this free and easy way to keep mosquitoes away. All you need is a cardboard egg carton or one of those cardboard holders you get when you order several coffees "to go." 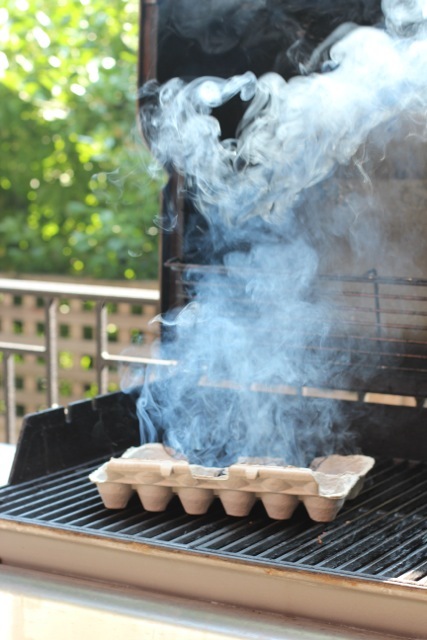 Light the corner of it on fire, then place it somewhere safe (like on top of your barbecue grill) and let it smoke. Although the smoke is no more harmful to you than starting a campfire (and smells equally as pleasant), mosquitoes hate it and will stay away. Those who have lived on a farm will recognize this as similar to lighting a smudge to keep insects away from livestock -- just without the manure. Do you have any ingenious ways to keep mosquitoes out of your backyard? Let us know in the comments!